With the world becoming ‘digitized’ at an ever-increasing rate, reliance on cloud computing and storage has sky-rocketed. With this, of course, has come a surge in cyber-attacks directed at centralized servers that hold untold amounts of private, sensitive data. Cryptyk is aiming to make use of blockchain technology to help tip the scales back toward enterprises and customers alike, who are seemingly as prone as ever to having their stored data compromised. Cryptyk is in the business of delivering small business clients an easy-to-use cloud storage system that concurrently saves them costs linked to cyber security. They hope to achieve this by building the world’s first complete cyber security and cloud storage solution from a single vendor. 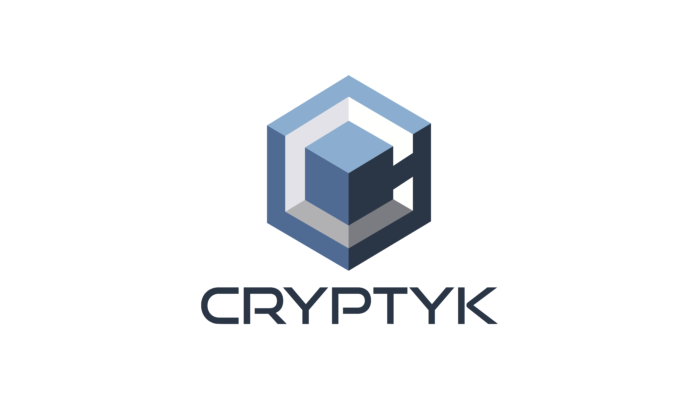 Cryptyk is an enterprise cloud storage and security platform made distinguishable by its never-before-seen technology that has been built on two separate decentralized platforms, VAULT and SENTRY. The purpose of the VAULT platform is to partition files into encrypted shards that go on to be distributed across five independent cloud storage providers. The SENTRY platform, on the other hand, makes use of blockchain technology to establish an interface with VAULT; allowing it to track and monitor all user access and file activity. As a duo, the VAULT and SENTRY platform make for a unique hybrid blockchain technology that functions as a unified vendor cyber-security solution capable of combating the five major threats currently plaguing the enterprise cloud storage industry (see: page 2 of the Cryptyk whitepaper). Encouragingly, the team at Cryptyk is deep into their roadmap. Let’s see what they have achieved thus far, and which milestones they are currently working towards. The team comprising Cryptyk is nothing short of exceptional; with experts in the areas of cyber security, cloud storage, and blockchain technology. The founders behind Cryptyk include Dr. Adam Weigold (CEO) – a quantum physicist and veteran of six tech startups – and Raghu Kotha (CTO) – a prominent white-hat hacker, cyber security expert, and former director of security at Silicon Valley Bank. The other core team members of Cryptyk Inc. are Dennis McMasters (Chief Architect), Mihkel Trink (Software Developer), Dr. Daniel Floreani (Enterprise Customer Solutions), Indra Singhal (COO & Director), and Luke Lombe (Investor Relations Advisor). Advisors to Cryptyk are many and feature some noteworthy names such as Bradley Rotter (Crypto/Cyber Evangelist), Sead Muftic, Ph.D. (Blockchain Expert), Robert Bender (Fintech Specialist), and Ian Scarffe (Blockchain & Crypto Expert). As for affiliates, Cryptyk has already landed two strategic partners (i.e., IBM and Ambisafe), three foundation members (i.e., BankVault, Design SHIFT, and Founders Federal Credit Union), and one development partner (i.e., hyperFIELD). The Cryptyk Foundation is a non-profit headquartered in Adelaide, Australia. Responsible for one-third of all CTKs created, the Foundation will be focussed on growing the Cryptyk community globally. They plan to open offices in New York (USA) and Zug (Switzerland), and should not be confirmed with the San Francisco-based Cryptyk Inc. (i.e., the developer of the Cryptyk platform). Making use of a hybrid blockchain technology and a self-propagating ecosystem powered by the CTK virtual token, there is no denying that Cryptyk have thought up an all new approach to cyber-security and cloud storage. Moreover, Cryptyk, along with its CTK utility token, is pioneering a whole new crypto-economy and ecosystem for the cyber-security market. Should the experienced team execute, there is every chance that Cryptyk will be remembered as a revolutionary project in years to come. You can find out more about the Cryptyk platform and the CTK token sale on their official website.